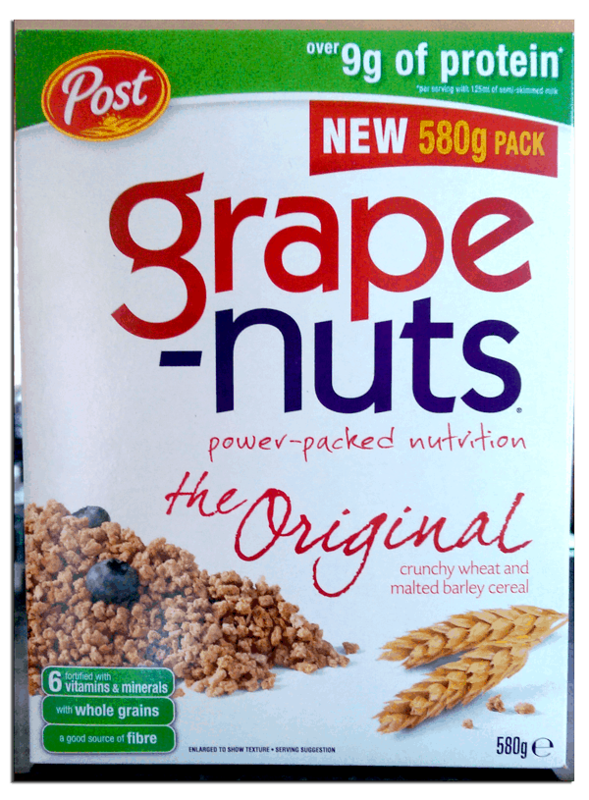 If you’re a fan of breakfast cereals that taste like cardboard, you might have tried Post Cereals’ Grape Nuts. It’s a “healthy” breakfast for the nutritionally concerned consumer. Look, here’s what the box looks like. How’s this a social media fail? Let’s have a look shall we? When you turn the box around, this is what it looks like. All this in just one serving!!!!! Well it’s quite simple really. Post’s marketing team wanted to look all cool and connected, so included some social profiles in the packaging design. Only somewhere in between sign off and going to print, they didn’t bother actually setting themselves up online. 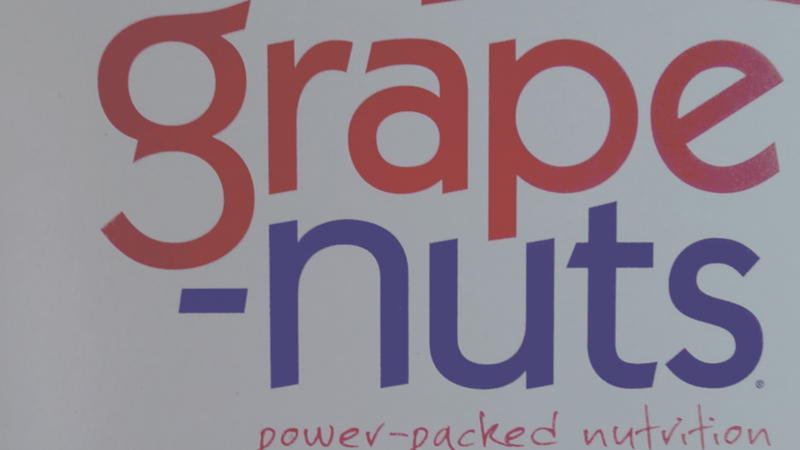 It’s not just Twitter where Post failed to put some Grapes Nuts. 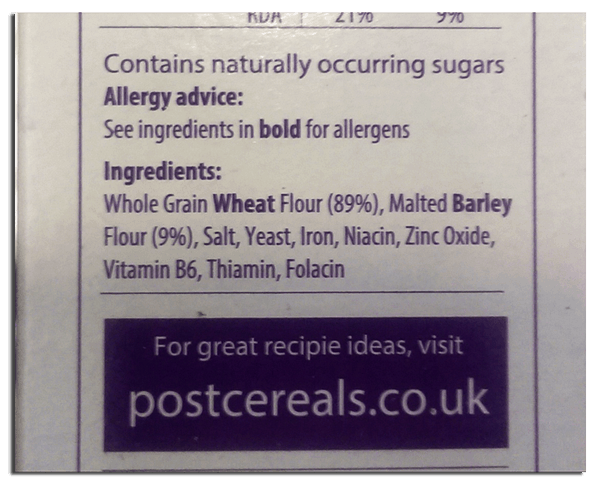 Just take a look at what’s actually in the cereal. 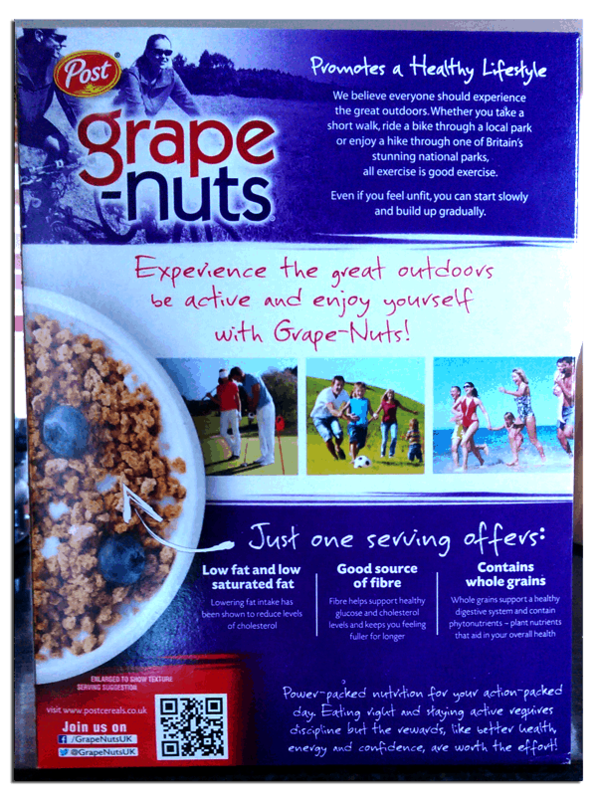 Not sure if that’s a viable case for false advertising, but there definitely seems to be a lack of grapes and or nuts in that list. 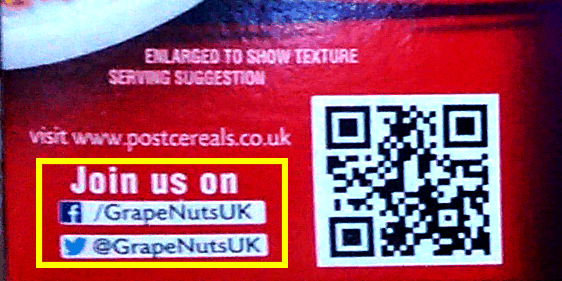 It’s pretty simple really, if you’re going to put a social profile on any kind of printed material, make sure you’ve actually created the profile first. If, like Post, you’re struggling with Twitter or social media in general, get in touch, and see how I can help you.